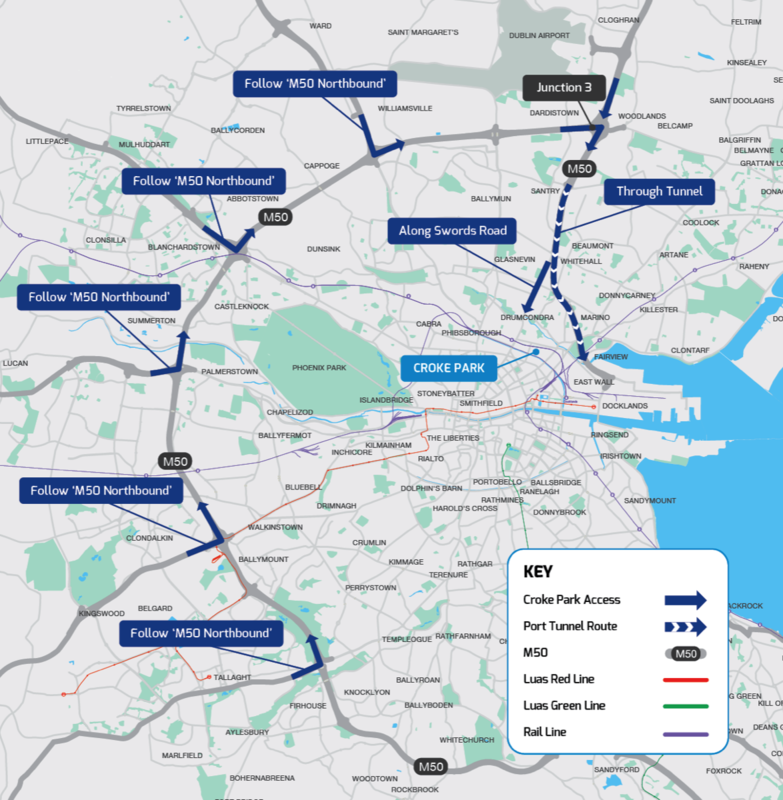 The Luas Cross City project will launch passenger services in December – just over 20 weeks away. Tram testing is continuing during the Summer and driver training is due to commence in September. In advance of the completion of the project there is a final significant piece of road construction work to be completed. 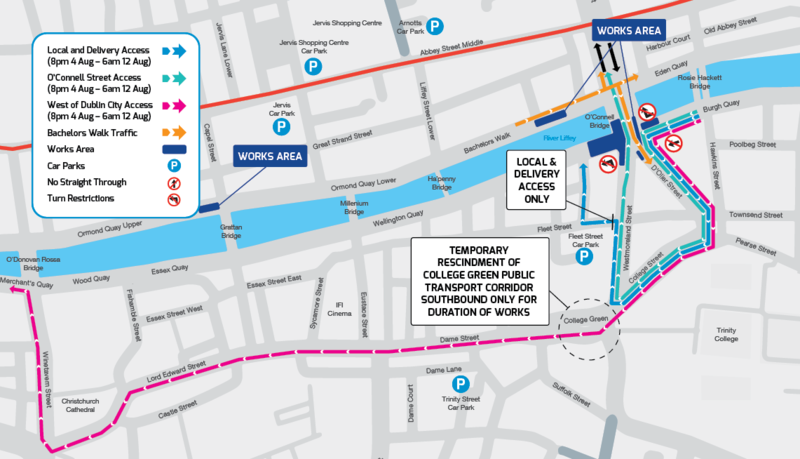 »» There will be significant traffic disruption on the North and South quays on the approach to O’Connell Bridge beginning Tuesday 1 August. »» O’Connell Bridge will remain open to Northbound and Southbound traffic. »» If you are travelling through the city, traffic diversions will apply, delays are expected so please use alternative routes. »» If you are travelling to the city, access to car parks will be maintained. 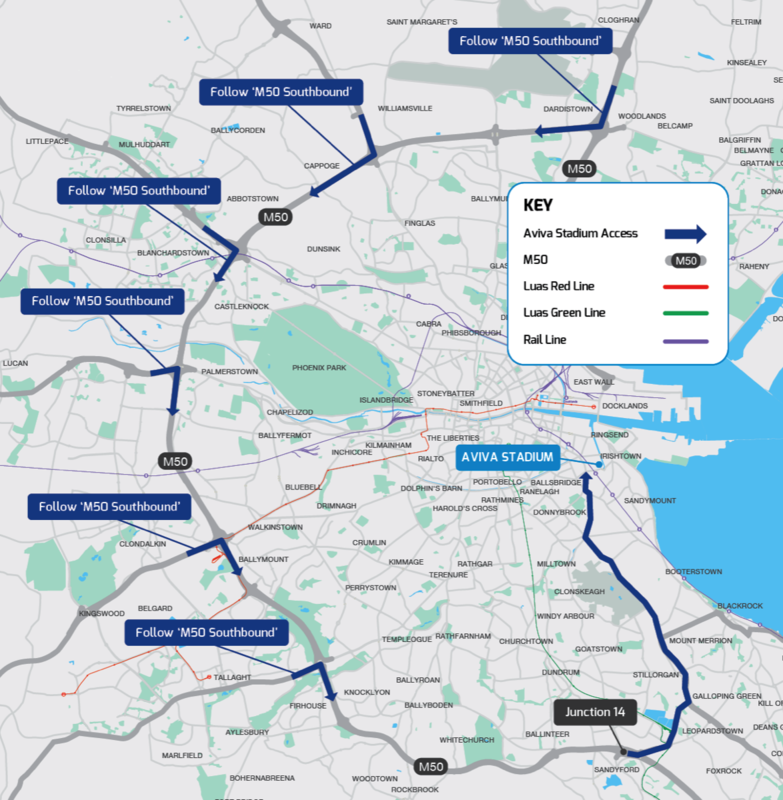 Please carefully review the traffic diversion maps and local access routes available below to help plan your journeys.